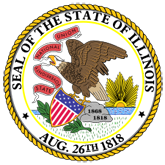 Pursuant to Sections 10-20.48 and 34-18.39 of the Illinois School Code, the Illinois State Board of Education (ISBE) is submitting this report containing radon test results taken from Illinois school districts. It is recommended that every occupied school building of the school district be tested every five years for radon, pursuant to rules established by the Illinois Emergency Management Agency (IEMA). The school district shall report radon test results to the State Board of Education, which shall prepare a report every two years of the results from all schools tat have performed tests.